The BREXIT is starting to look like all theater. Do the leaders really want what the people want, most likely not. The President elect of Mexico told his people that Mexico is bankrupt and gave the central bank a warning. The establishment is at it again, dumping cryptos to manipulate the market just like the precious metals market. Case Shiller admits that housing prices are coming down and the it starting to look like real estate has reached the peak. The entire plan to bring manufacturing back to the US is being negotiated behind close doors with Chinese, it might look like a trade war but its a war against the central banking establishment. Confirmed, Trump during his UN speech said the US will not go along with globalism. Are we now living through the beginning stages of the death of the West? Or at least the West that we once knew, love, and cherished? That gave rise to the greatest period of prosperity and freedom that this world has ever seen, or are simply going through a dramatic shift in the zeitgeist that will inevitable correct itself? It is unknown as of yet, what the dire ramifications of this extremely unstable period of time we now live in, are going to be. The old rules of politics and civility have been broken, and in large part, we can thank both the radical left and the far right for doing so. However, the MSM (who have become nothing more than glorified tabloid outlets), through their never ending flow of click-bait propaganda, pitting neighbor against neighbor cannot be overlooked and in my opinion, are the chief cause of this current mess we now find ourselves in. They are the ones that gave birth to these extremes. The genie is out of the bottle and the thought of open Civil War is once again being entertained within the United States. The fact that this is even being mentioned, showcases just how incredibly unstable the political state with the United States currently is. This would not only be a disaster, but it would be an outright bloodbath, and one that would ultimately reshape the United States as we know it, forever. Currently, there is already a war ongoing, many know this as the "culture war" and up until recently, it has predominately been fought online, but is now spilling over into everyday real life. For years, the left has dominated this front, as they have risen through the ranks of various companies, universities and positions of "power", taking control and reshaping these businesses and institutions into their image. However, this is all changing, as the right is no longer asleep and has begun to fight back. Massively. This culture war, as I have stated, has spilled over into everyday life and many people of power, or influence now live in a constant state of fear, simply waiting for the mob carrying torches to descend upon them, bound them, and figuratively speaking, burn them at the stake. This of course would not be unfolding if not for one fact. It has been and still is, effective. As we are now seeing, the effectiveness of this tactic has been noticed by extremist on both sides, and they are wielding it as a powerful weapon as insanity takes root within the minds of the weak, wrecking havoc on our societies in the process and creating extreme uncertainty and disorder. This madness is pushing people to the brink and what was once a fringe idea, discussed by only fool-hearted revolutionaries, is now becoming discussed more and and more among highly educated, highly respected scholars. Niall Ferguson is one of these scholars, and one of the most, if not the most respected historian in the world. As can be seen above, he sates that he sees many similarities between the period of extreme unrest that the world suffered through in the 1850's and to today's current timeline. Within this list of recommended books are a number of frightening pieces that explain how American reached the point of no return and entered into a gruesome Civil War that pitted brother against brother and sister against sister. As pointed out, this period was a time of extreme polarization, in which neither the right nor the left could come together to work things out, communication ceased and all that was left was violence. We are not yet at this point and perhaps, there is still time to turn back the wheel of time and correct these irrational differences, however, the sands of time are certainly nearing their end and we are about to reach the point of no return. Communication is the key to peace, and without it, bloodshed will undoubtedly follow. This cannot be allowed to happen, the cost is simply too great. Fortunately, the vast majority of people are sick and tired of the nonsense, they are fed up with the insanity and they want nothing to do with this madness. It is time for the sanity of the center to once again assert itself, take control and restore order. Before it is too late, before communication dies and before the West buries itself six feet under. This week Steven Hochberg & Pete Kendall of the Elliott Wave, join the program to discuss an era ending stock and bond downturn. The lowest volatility in 50 years signals coming high volatility. This crash will end central bank’s illusions of control. What happens to gold and silver prices when the Fed “goes all in” during the next financial crisis? Money manager Michael Pento says, “They are going to explode when the stock markets melt down and deficits are rising where is the money going to come from? It has to come from another unprecedented wave title way, a tsunami of money printing from the Federal Reserve. If that doesn’t get gold and silver prices which are on deaths door awakened from their slumber then nothing will. The physical demand for precious metals is going to skyrocket. The CFTC futures positions are net short in a huge way. There are record net shorts. When that rally comes, it’s going to be a dizzying rally. The inflationary pressures that are building in debt and in base money supply make me believe that the inflationary pressures are going to be unprecedented, the likes of which we have never seen. Ten Years After the Crash, We Have Survived, But Have You Prospered? Endless amounts of money printing may of helped paper over the problem, and arguably, it has, as ten years after the financial crisis of 2008, we are still standing, we are still here and the modern world is still ticking by with each passing day, regardless of how dysfunctional our current political system may be. US Stocks May Go A Lot Higher For No Fundamental Reasons? Jason Burack of Wall St for Main St interviewed returning guest former entrepreneur, former Fortune 500 executive and global macro newsletter writer, Gordon T Long. There is good reason people are going to real assets. The U.S. government is “missing” $21 trillion between the DOD and HUD. This fact was uncovered by Fitts and economist Dr. Mark Skidmore last year. What was the government’s answer to this gigantic accounting fraud that is the size of the federal deficit? Give the government’s budgets basically classified national security status. Investment advisor and former Assistant Secretary of Housing, Catherine Austin Fitts says, “Apparently, the people leading the audit have come to them and said if we do this audit, we will disclose classified projects. So, the board (Federal Accounting Standards Advisory Board - FASAB) came out with a new policy. I say it is illegal. You cannot do it under the financial management laws, and you certainly cannot do it under the Constitution, and it said you can keep classified off the books, which means you can cook the books and you can basically do whatever you want. This matches up with the waiver given to the national security advisor that says corporations, if he waives them (regulations), can also cook their books with the SEC. A trend that I have predicted for over a year is once again unfolding in front of our very eyes. Big Tech" is beginning its decline, it is beginning to sow the seeds of its own destruction. I highlighted this in my piece titled "The War Against Alt Media Goes Hot", almost one year ago. Which showed how "Big Tech", most notably Twitter, Facebook and Google, were engaging in actions that would ultimately lead to their own destruction by taking too strong of a political side, leading to the rapid rise of Alt Media. Since writing that article, Facebook has been caught in scandal after scandal, forced to testify in front of congress, in a sad attempt to explain their actions, and how they are willing to sell their customers personal data to the highest bidder, shattering the trust of millions forever and accelerating their decline in active user ship. Making matters worse, was the fact that their long suspected political bias was indeed confirmed by over one hundred employees of Facebook itself, who brought light to the subject within an internal company message board, started by senior engineer Brian Amerige. Those concerned with the way the company was doing business, stated that Facebook had adopted an "intolerant" liberal culture. Strong words indeed, especially when targeting a business that controls such vast amounts of personal information and dictates many peoples daily social interactions in our modern day world. But as suspected when I first pondered upon this subject, Facebook is far from alone in their bias, as most of Silicon Valley based businesses are within driving distance of each other, and thus are prone to be influenced by the same culture that they engross themselves in, socializing and finding comfort in their echo chambers, ignorantly assuming that the rest of America thinks just like them. No, this echo chamber is vast and powerful, and is exactly why both Google and Twitter have joined the shameful ranks of Facebook and now find themselves under intense scrutiny for the way they have targeted conservative view points, hoping to push them into the dark, less they face another defeat in the upcoming 2020 elections. And that is the problem, as we are now witnessing via the leaked internal Google meeting video, which took place shortly after the defeat of Hillary Clinton by Donald Trump in the 2016 elections, Google executives were distraught and dismayed. I along with others wrote pieces at the time, which showcased in real time, how Google was actively censoring search results, and manipulating what people viewed, now, as can be confirmed from their actions in the aforementioned video, these "mistakes" as they called them at the time, were ironically in what they viewed to be their best interest. As I have highlighted before, this should be alarming and concerning, regardless of whether you fall on the political left, right, or in the center. These massive tech firms literally have the ability to control what is "real" and what is not, how we feel and what is deemed news worthy. In the case of Google, of which people use as their go to source for discovering facts, or truth, this should frighten you to death. What we deem to be the custodian of truth, should never, absolutely never be affected by such extreme and blatant political bias. This is simply unacceptable. The sanity of the center needs to be restored, rational thinking needs to come back into everyday practice and fortunately, as we are now witnessing, the free market is once again exerting its will and corrections are being made to the madness we now find ourselves under. 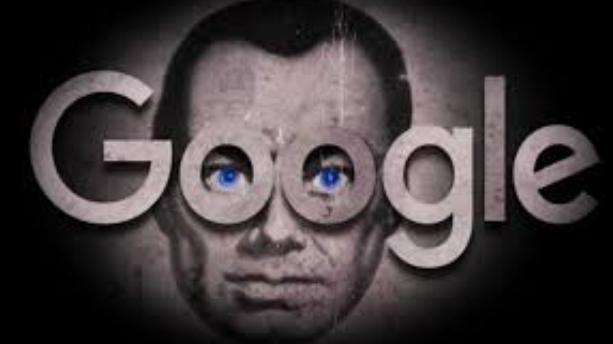 By taking such a strong political bias, Google and other "Big Tech" firms, have sowed the seeds of their own destruction and given room to the rise of Alt Media, Alt media that will be happily embraced by a massive portion of the population looking for any viable alternative. The slow death of "Big Tech" is upon us, and nothing, absolutely nothing is going to turn back this tide. Trader and analyst Gregory Mannarino says the next financial meltdown really takes off when we can no longer borrow money into existence. 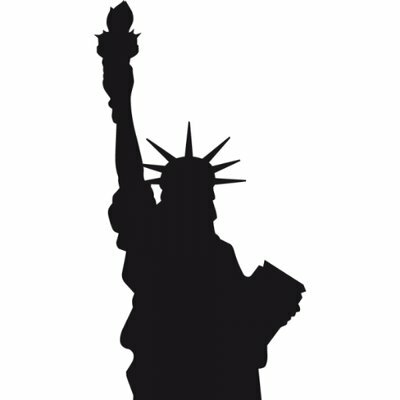 Mannarino explains, “There is a full blown debt crisis in Europe and in the United States. The crisis is if we don’t continue to borrow and find ways to borrow ever more cash into existence. If we don’t, the whole system will melt down. When we hit the moment of maximum saturation, what happens to the currency? What happens to the debt as a whole? It evaporates. Let’s say we don’t pay the national debt anymore. What does that do? Well, the dollar in your pocket, the euros in your pocket, is connected to that debt. Message has been sent by the deep state to operatives, the sleep cells are activated. We are now seeing Obama and Clinton come out of the wood work, this is part of the plan. People need to seem them again to place them in the forefront. The battle has started in Syria, channels have been taken down. Q drops more breadcrumbs, cells are now active, message are acknowledged, everything is going according to the plan. Janda has top notch political, law enforcement and intelligence sources from years of consulting work in Washington D.C. on healthcare issues. Janda says the Deep State is so unhinged and about loss of power, wealth and coming prosecutions that they may attack America. Janda says his Washington D.C. sources say, “Here is what they are really worried about and why there are so many people concerned about what is going on. My sources told me they are very concerned about an EMP event in the near future. That would lead to problems with the rule of law in this country and to the financial markets. Gold now needs to sustain the $1,204 an ounce level before positive momentum could be maintained, Bill Baruch, president of Blue Line Futures, told Kitco News. “$1,204 now comes back in and aligns with the trend lines from the lows, and we’re testing it here today as the dollar against the emerging markets has increased a lot,” said Baruch. He added that gold has been losing its status as a safe haven currency to the dollar. Baruch noted that the gold market is still in bottoming process, and investors could expect to see lows of $1,180 an ounce before a rebound occurs. “A move down there, if it had to happen, if it held, that would be a good thing,” Baruch said. Despite the constant outcries from the Mainstream Media, despite the ongoing, almost constant negative coverage of President Trump and his administration, the economy continues to chug along at a rapid pace, rising and accelerating in momentum. This cannot be denied and it is a true testament to just how resilient the American economy is at the moment, despite the fact that the world grows increasingly more geopolitically unstable with each and every passing day. Confirming this positive direction was the recent August Jobs Report, which is hot off the press, showing that once again, the American public is growing in confidence and as a result, putting their money where their mouths are. Businesses continue to not only hire additional workers, but are in fact increasing their wages at levels not seen since 2009. Once again beating market expectations, the August Jobs Report showed that 201,000 additional net jobs were added throughout the month, and hourly wages increased by 2.9% year over year. This is a sharp increase in both numbers and is exactly why the stock market continues to chug higher and higher with each additional positive report, surprising the markets each and every time. Adding fuel to the bull market fire, is the fact that unemployed remains at an incredibly low level, 3.9%, with no signs of immediately changing direction. As previously noted, consumer confidence remains at elevated levels, despite all the perceived negativity in the world at the moment, resting at an 18 year high. Not surprisingly gold and silver were once again immediately pounded upon hearing these reports, as market pundits rejoiced and shed off the need for their insurance policies that come in the form of hard metals. Yet, mark my words, despite all the positive news that you have read above, this is a mistake and once again the sheep are being led to the slaughter. Things may be going good, and consumer confidence may be at all time highs, but much of this faith is being blindly placed in bogus, jerry-rigged government statistics. People should never get too comfortable and assume that "this time is different". It should come as no surprise that much of the ruling elite are not happy with President Trump, or the way that he is running roughshod over their carefully orchestrated plans, plans that they have been working on for decades. People can savor the moment, and hope for the best, but to shed their precious metals insurance policies at this time, would be insanely foolish. In fact, it is times of artificial suppression such as these, that one should in fact be slowly adding to their positions, making hay when the sun shines. To fall into complacency at this period in time would be the worst thing that you could do. Geopolitical, and internal political pressures are reaching an intense boiling point all over the world as people become increasingly more insular in their self selected echo chambers of their choice, while at the same time the MSM stokes of the fires of unrest. Be on guard, be prepared and remember always, this time is not different. It never is. The New York Times has published an explosive - but anonymous - op-ed purportedly written by a "senior official" in the Trump Administration outlining how his fellow officials are working night and day to thwart the US President's agenda. Is this a coup? Brace for IMPACT...The Storm Is Here, You Have Been Warned, Prepare Now! 68% of voters are against illegal immigrants coming into the country. Federal Judge says that Obama's DACA rule is illegal. Russia to stop carrying astronauts to the space station. The FBI arrests 5 of the New Mexico terrorist compound. CIA admits to infiltrating America via civilian jobs. Q drops more breadcrumbs and says to prepare for impact. The new is about to drop and the people of the US are going to be shocked. The deep state might retaliate using their Horizon program. Prepare now and be ready. Macroeconomic analyst Rob Kirby is a broker of physical precious metals by the ton for wealthy clients, and he says people are quietly panicking. Kirby explains, “If you look at a duck moving across the water, it looks very graceful. But if you take a picture of what’s going on underneath the waterline, you see the duck paddling seriously. 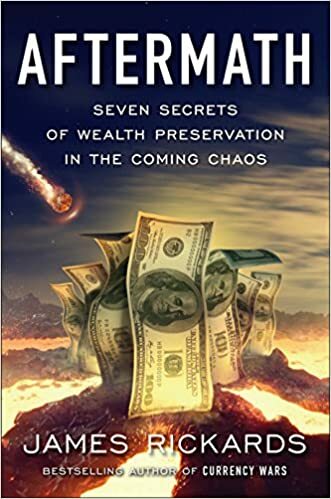 In the precious metals space, what we see above the waterline is the reckless suppression of physical precious metals, but what’s really going on beneath the waterline is mega, mega money is on a ‘seek and acquire’ mission to secure physical precious metals in amounts that would stagger most people. There will come a point where physical precious metals will be hard, if not impossible, to find in exchange for fiat currency. Another infamous Jackson Hole meeting, in which the FED puts on a grand display of epic jawboning has once again come and gone. 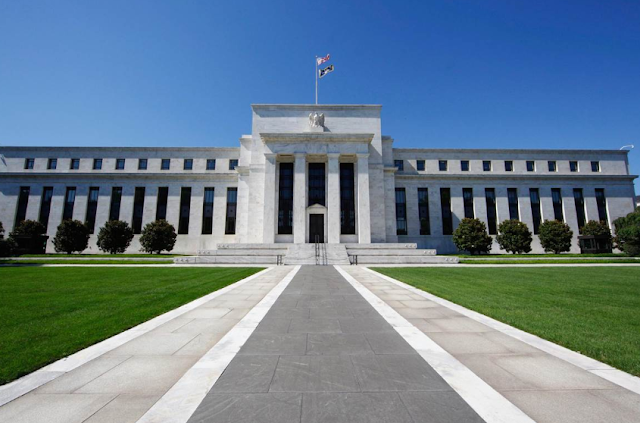 The doves were in full flight as the new(ish), Federal Reserve Chairman Jerome Powell took the stage and signaled that interest rates would once again remain near their historically low levels. This sent stocks surging to new heights, pushing the envelope as they continue to tick higher and higher, increasing the distance that they will inevitably have to fall, when the next big crash descends upon us. 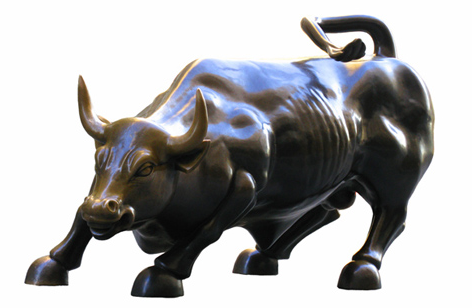 Stocks, housing, gold, silver, nothing goes up forever and a major correction lies in wait for the general markets as a whole, which has experienced a record breaking bull market on the back of intense consumer confidence. Yet, sadly, people are once again falling into the old traps that they have time and time again, throughout history. Once again putting their faith blindly in government officials and central bankers, who quite bluntly, have proven repeatedly that they don't have a clue what they are talking about. Jerome Powell being no exception. The fact of the matter is this, interest rates cannot and will not be raised, unless an intentional crash is meant to be triggered, a crash that some, especially those on the far left would be more than happy to see occur, due to the damage that it would inflict on President Trump's chances of getting re-elected in 2020. Yet, although I once believed that this would be the approach that the "elites" would take in dismantling President Trump's dominance in the Oval Office, I believe that they are coming to the same realization that I have already reached, which is that even a market crash won't reduce his popularity amongst the right, which is record breaking and only rivaled by Abraham Lincoln. The lines in the sand have been drawn and the MSM have created a hostile political climate that is going to one day come back to bite them you know where, as when the tables are turned, so too will the rules of the game against their candidate of choice. Despite this increasingly hostile political climate, the market is showing that it has faith in "America's First" policy being pursued by the President's administration, but for how much longer can the constant assaults last before it brings the entire system to its knees and forces a crisis upon not just America, but the West as a whole? Taking note of this chaos, countries such as Russia and China are buying record amounts of gold, while others such as India are doubling down on silver. Meanwhile, savvy investors continue to dollar cost average into both precious metals, taking advantage of these artificially reduced prices while they can. This puts the FED in between a rock and a hard place, giving them little to no room to move, as the last thing that they want to be blamed for bringing this house of cards down by ratcheting up interest rates in any meaningful way. Therefore, moving forward you can expect more of the same of the new FED Chairman Jerome Powell and his ilk, nonsensical, meaningless jawboning, and nothing more. IE, business as usual.